Infrared is the spectrum of electromagnetic waves between visible light and microwaves. Infrared heat and light fall at different ends of the infrared spectrum. Infrared heat is made up of longer, slower, electromagnetic waves, while infrared light (which is not visible to the human eye) is made up of shorter waves about the size of a cell. These waves are what make television remotes work. Because of the way infrared waves interact with matter, infrared heat can be harnessed and used in new technologies to create ways of heating. The concept is similar to microwave heat because of the penetration of the waves and their thermal properties. Because infrared waves are larger than light waves, they do not stop at the surface of the human body, and since these waves are smaller than microwaves they do not cook the human body. There is even glass technology available that can keep homes and buildings cool by allowing light in while blocking infrared heat. Night vision technology works by taking infrared electromagnetic waves and translating them into visible light. Living things generate infrared electromagnetic waves naturally. The exact spectrum depends on the heat of the person or thing generating electromagnetic waves. Infrared heating pads function to heat an area of the human body by emanating heat within a range that serves to send heat deep inside the tissue. Traditional heating pads heat the surface of the body, but infrared heating pads are able to send the heat far below the surface. Often pain and discomfort caused by nerve problems, injuries, and fibromyalgia cause pain far below the surface of the skin, so to affect the actual cause of pain, the surface of the skin would need to be heated much hotter than is physically comfortable. New infrared technology allows heat to be delivered exactly where that heat is needed for pain relief and muscle relaxation. Heating to temperatures slightly higher than the body’s natural temperature in a specific place is a similar concept to a localized fever. Fevers are very useful overall for increasing immune system response and fighting pathogens. Infrared heating pads can specifically localize a fever in one place on the body. This external manipulation has certain health benefits. Localized fevers have the ability to increase immune system response and directly fight infection in that particular location. Because of the localized fever aspect, infrared heating pad results should be profound. What are the Potential Uses for Customers? The unique ability to heat the body directly without super-heating the skin can be used to treat a variety of medical conditions. Infrared heating pads could potentially benefit customers with cancer, heart problems, stress, anxiety, cellulite, skin problems, arthritis, short-term pain, and circulation problems. There are very few other therapy options that could potentially benefit all of these problems. Fibromialgia, insomnia, spinal stinosis, and sports injuries could also potentially benefit from some infrared heating pad therapy. 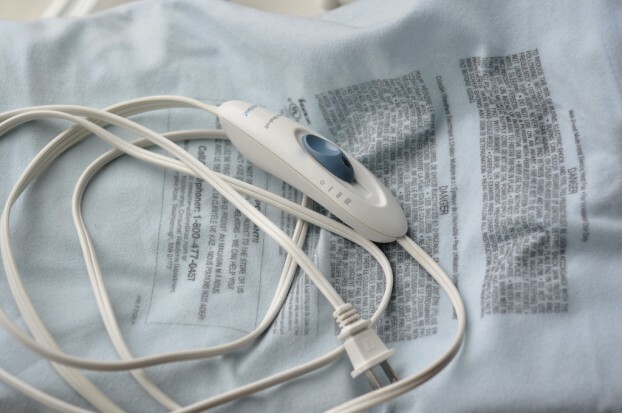 Before investing in an infrared heating pad make sure to buy new and do a little market research to be sure the product has no safety or health issues. Dillon Pickford is a freelance writer who appreciates the importance of maintaining an appropriate temperature, both in summer and winter. For summers, he recommends AC installation from a reputable company in order to ensure a cool and relaxing experience. Image credit goes to Pleasant Home.